Below you will find our assistive technology devices that we can demonstrate to consumers and caregivers at our center. If you would like more information, or to schedule a demonstration, please call Kathy Baker at 706-314-0008 or email at kbaker@nwgacil.org. If you have difficulty making a trip to Rome, we are more than happy to schedule a demonstration in your area. Plastic cutting board that has prongs to hold food for slicing and a vise to hold a variety of items for one-handed operation. Can be used to hold mixing bowls for stirring, opening boxes or jars, or for slicing or grating food. Four suction feet secure board to work surface. 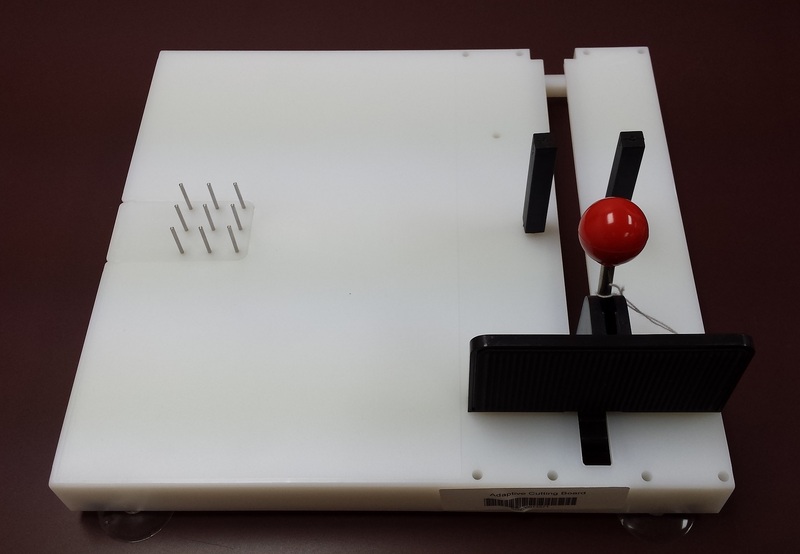 Assistive technology starter kit offers all the common parts used in the AT Field giving you the flexibility and option to create hundreds of different configurations immediately. This kit contains clamps, various sized hoses and links, as well as different size mounting plates used to affix devices such as phones, tablets, screens, communicator boards, etc. The dressing stick is a dressing aid for putting on and taking off clothing, and is suitable for individuals who have difficulty bending, limited range of movement, or use of just one arm or hand. 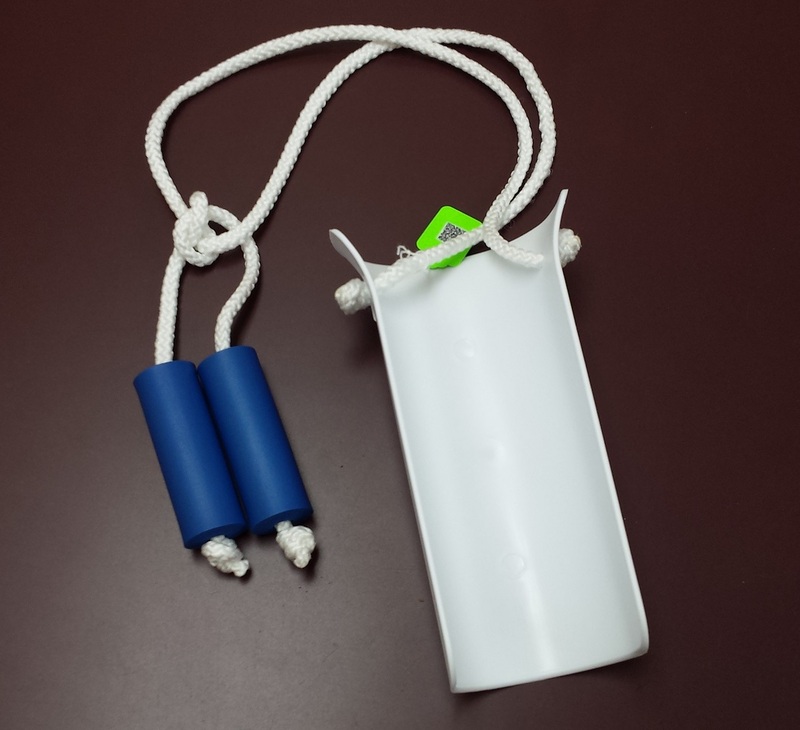 The stick has a plastic-coated, combination hook/pusher to assist in putting on shirts and jackets, pulling up slacks or skirts, or removing socks, and a small hook on its opposite end for pulling zippers and shoelace loops. 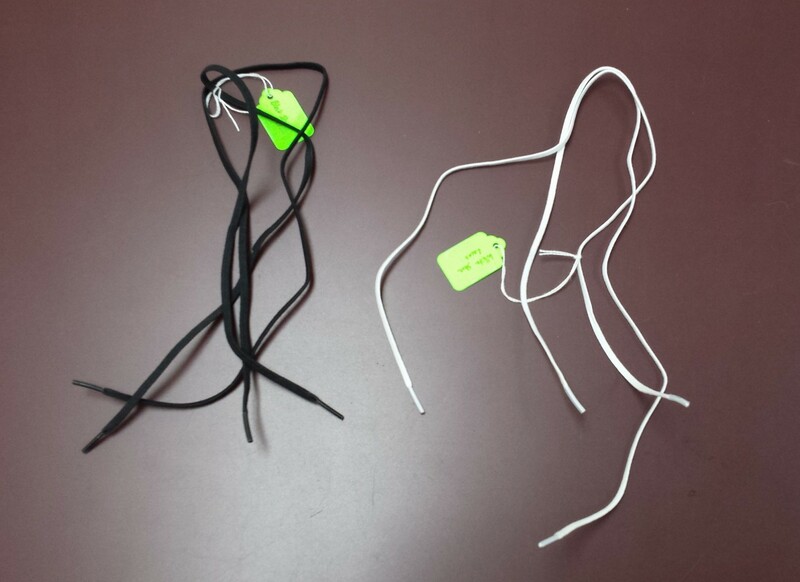 Extra-long black and white shoe laces made with elastic that assist in lacing shoes for individuals who have foot swelling, or who have difficulties bending over to lace and tie shoes. 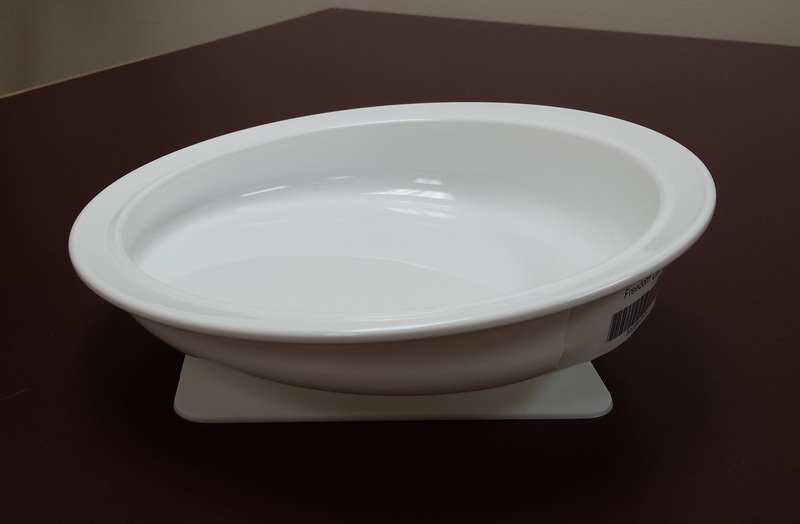 Freedom dinnerware with suction pad bases are adapted plates and bowls with a vacuum base that prevents the plate from moving. 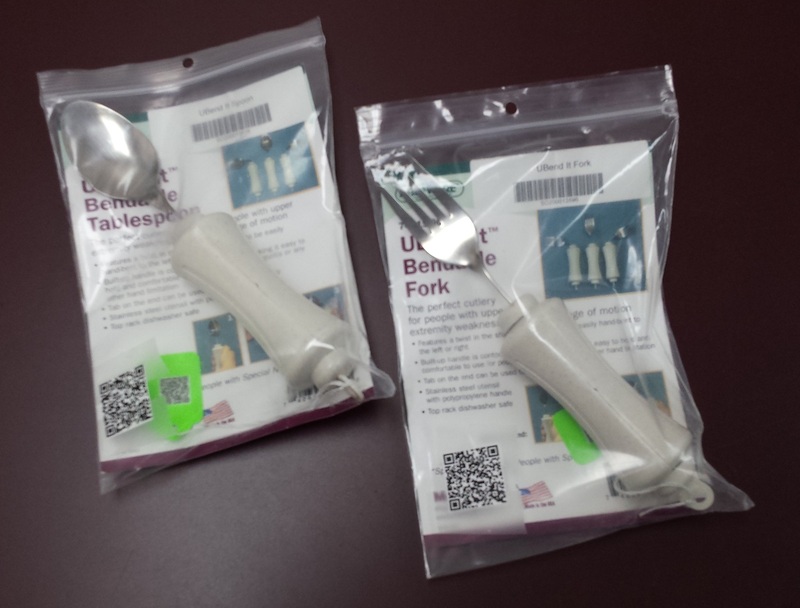 Individuals can now feed themselves with no danger of the dinnerware moving or slipping. The dinnerware can be washed in a dishwasher (top shelf), while the non-skid, no spill vacuum pad can be simply washed and dried by hand. The dinnerware can be microwaved, but the base cannot. 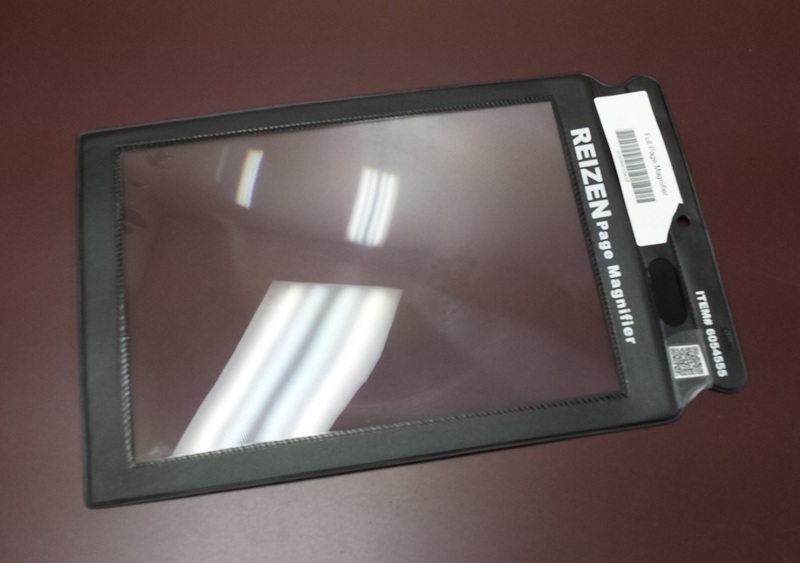 The full page magnifier is a standard-sheet sized plastic magnifier used to enlarge text and pictures on a page. Hold the magnifier over the object you are trying to read. 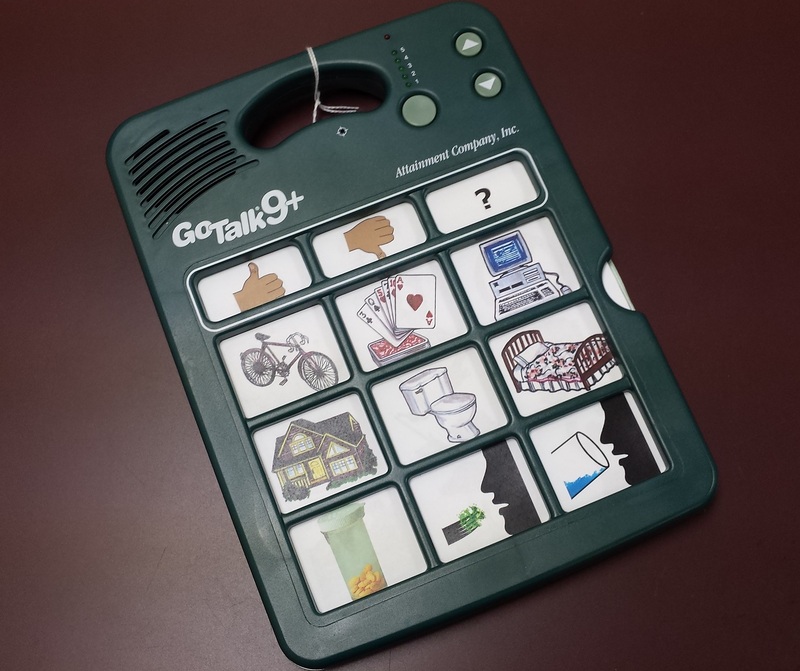 The GoTalk 9+, a lightweight and portable communication tool, includes nine minutes of recording memory with a 45 message capacity. Use five recording levels and three core message keys that remain constant – great for “hello” or “all done”. 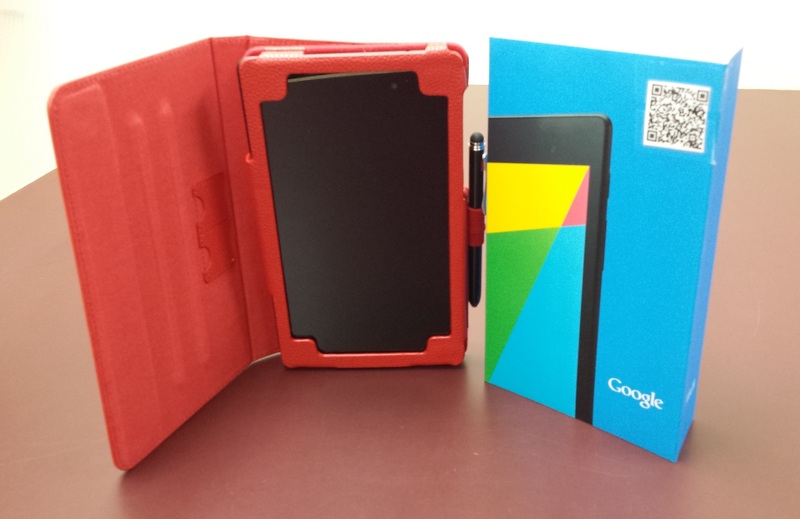 7 inch tablet device running Android systems and optimized for Google. This tablet has several on-board Accessibility options such as a screen-reader, text enlargement, etc. 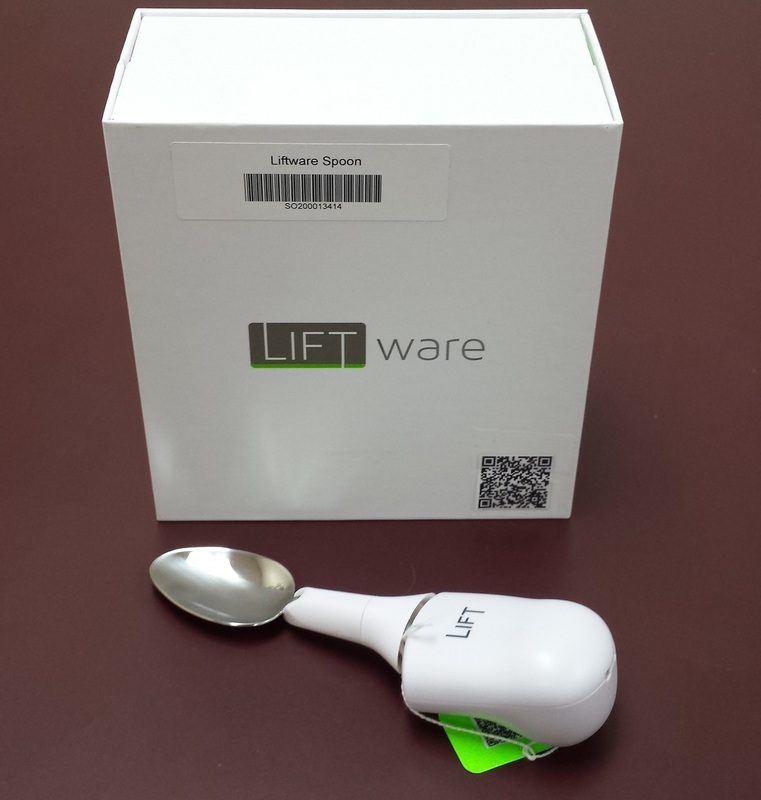 The Liftware starter kit includes the stabilizing handle and the soup spoon attachment. The stabilizing handle includes built-in sensors, a computer, and motors that help to sense and counteract hand tremors. The soup spoon attachment connects to the stabilizing handle to pick up food such as soups, cereals and other liquids. The soup spoon attachment holds about 1 tablespoon (15mL) of liquid. 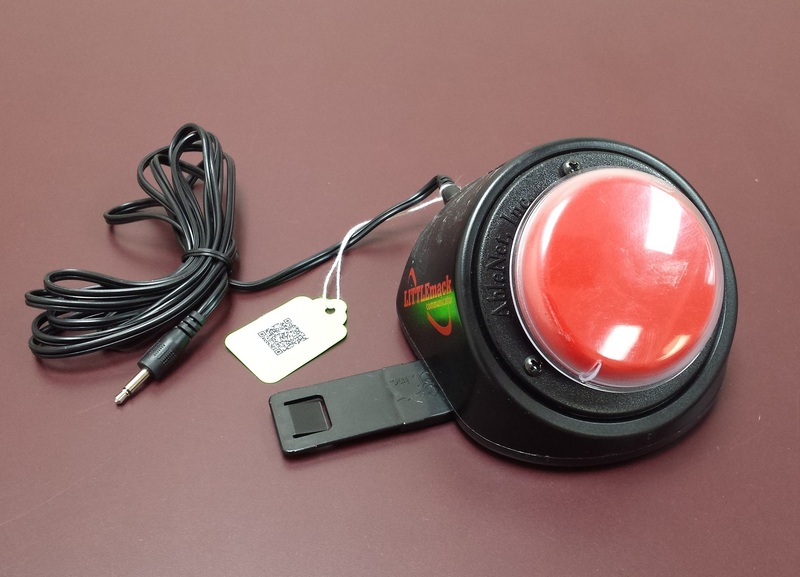 Single-button communicator which features easy single message recording, one-touch playback for up to 2 minutes, external switch jack and interchangeable switch tops. Connect a toy or battery operated appliance for instant positive reinforcement. Requires 9-volt battery. 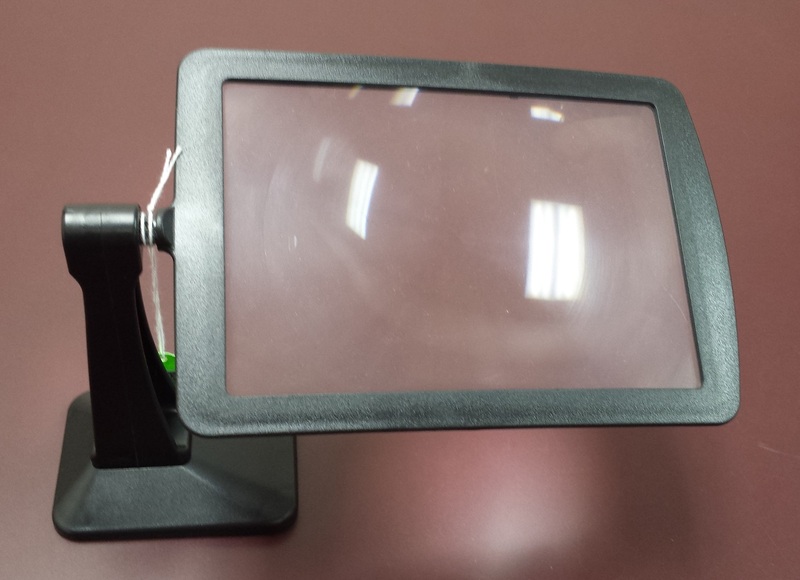 Free-standing magnifier screen to enlarge objects, texts or pictures. 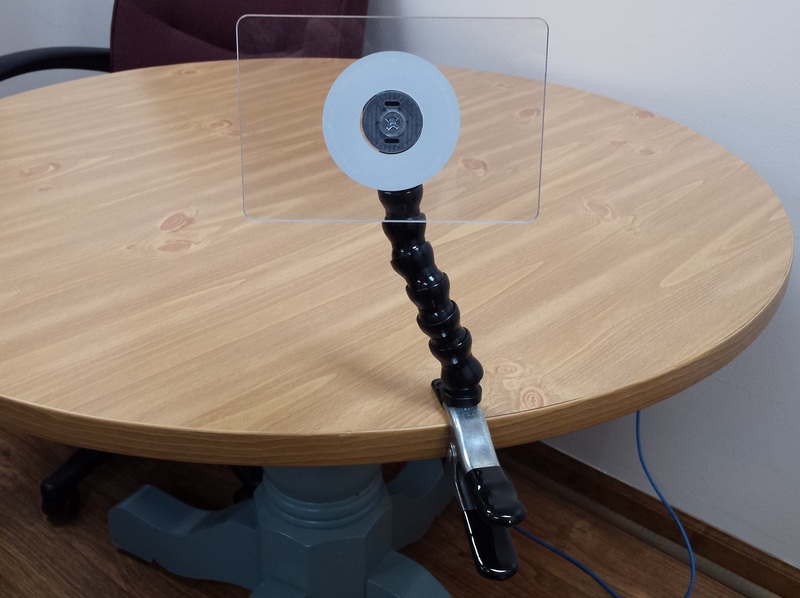 Because it is free-standing, this magnifier can be set where you need it and your hands free to move around. 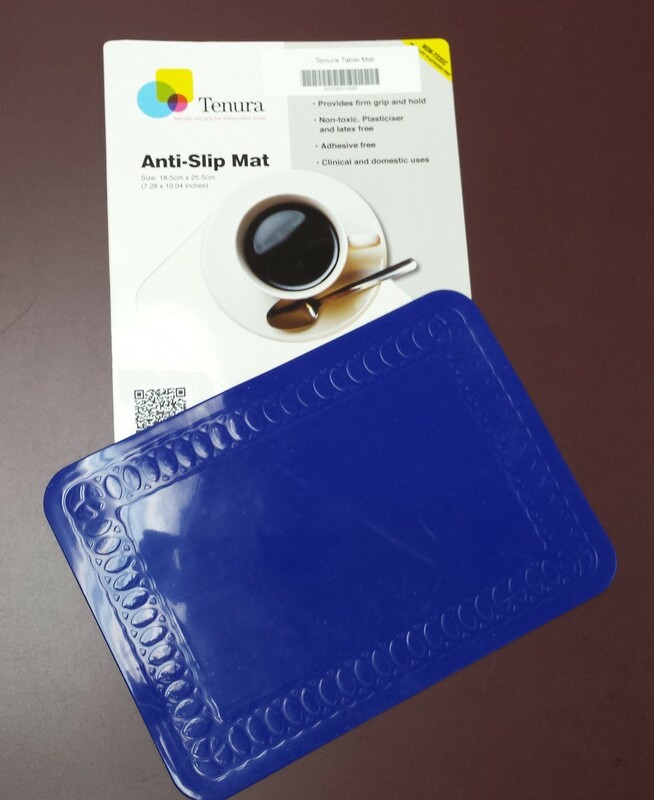 Also helpful for individuals with limited mobility in hands and arms. 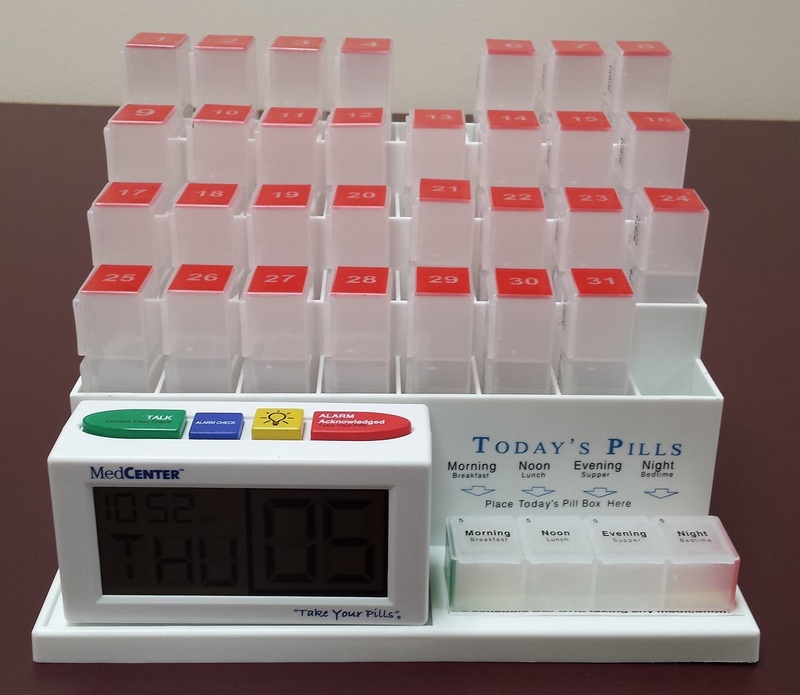 The MedCenter system is a monthly pill organizer with “Parking Garage”. Contains 31 pill boxes with four doses per day. Loud 4 Talking Alarm Clock with long alarm duration. Pill boxes are easy to open. Timer shows pill box number. Pill timer is LOUD and resets every day at midnight, no reset required. Activation button and separate receiver to use as a notification to individuals in separate rooms or locations. Signals can be sent up to 100 feet, through walls and to different rooms if needed. Completely wireless, and battery operated. The small compact receiver is about the size of a credit card, has a distinct chime or vibrate signal and has a clip for attachment to a belt, or converts to an easel for a stand up position. Compact enough to bring anywhere, the Pocket Talker is ideal for 1-on-1 conversations, TV listening, small groups, and much more. 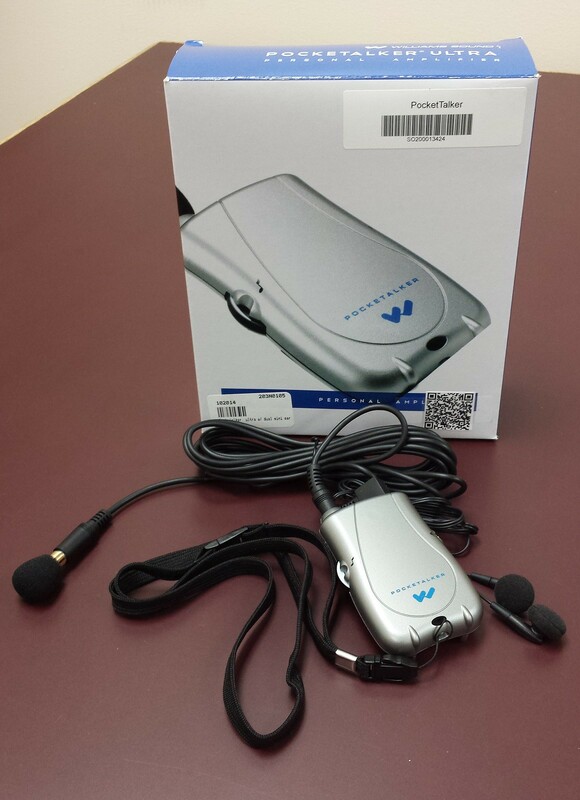 The Pocket Talker Ultra amplifies sound clearly and easily for better understanding. 100 hours of battery life ensures long-lasting performance. Use the Pocket Talker with a variety of available earphones and headphones of your choice, or, for optimal performance, use it with a neck loop and a telecoil-equipped hearing aid. 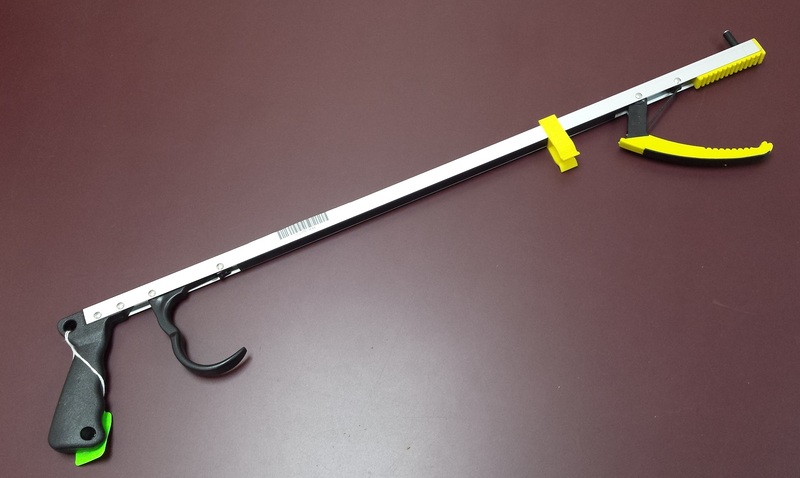 Multi-purpose pick-up and clean-up tool is great for use in the home, around the yard, and provides help for individuals with physical limitations. Comfortable handle and rubberized jaws allow for easy retrieval of objects high and low. 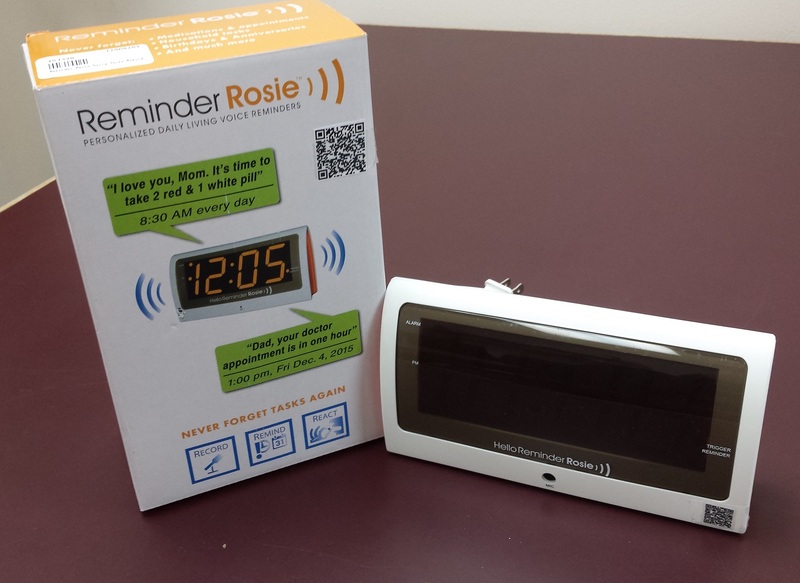 Reminder Rosie is an alarm clock that responds to verbal commands (such as “Record Reminder” or “What day is it?”) and allows anyone to set up to 25 reminders for everyday, weekly, by date or annually! So, for example, set a reminder for your father to hear in two weeks to remind him of an appointment (“Dad, you have to see Dr. Brown at 3pm today.”) Hear messages in the comforting voice of a loved one or caregiver, can be heard up to 100 feet away, and can be turned off verbally or by pressing down on the clock. Ease of use reduces stress and frustration. Runs on household current and uses 3 “AAA” batteries, not included, as backup for power outages. A good shoehorn has one purpose and one purpose only and that’s to make putting on your shoes a breeze without bending, back pains, or aches. The extra long shoehorn does just that. It is 24 inches long and is made from a sturdy high tech plastic and metal, making it possible for anyone to put on their shoes without bending or leaning. It is ideal for individuals who have movement limitations. It comes with a big round handle so that your whole hand can wrap around it. This handle makes it easy for anyone to grip and hold. The grip of the handle is slightly tilted from the rest of the body of the shoehorn making it the ideal angle for putting on your shoes or boots. The SockAid is perfect for people with limited hand function, back problems, wheelchair users or people recovering from hip or knee surgery. It holds the sock in place while allowing the sock to slide smoothly onto the foot. The patented inside plastic core is specially molded to retain its flexibility even after years of use. The foam grip handles are ergonomic and allow better hold of the device from farther away to reduce bending. 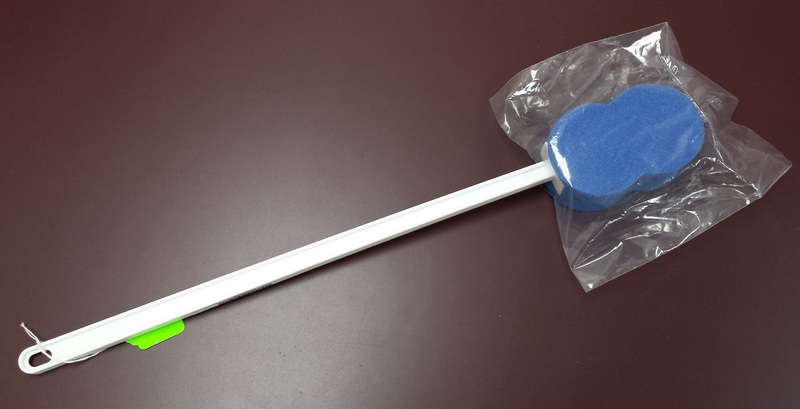 Absorbent washing sponge on a plastic stick to help those with limited mobility wash themselves. 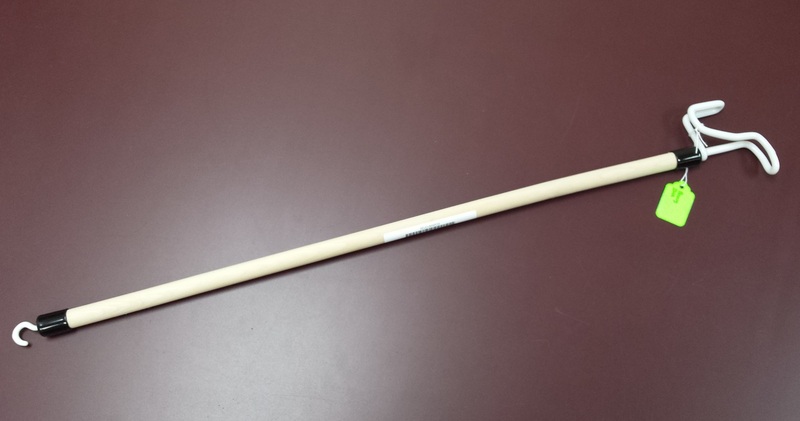 U Bend It utensils have a twist in the shaft that allows them to be easily hand bent to either side at any angle for people with upper extremity weakness or reduced range of motion. These stainless steel utensils feature built-up handles for people with arthritis, weak grasps or other hand limitations. Their contoured shape makes them easier to hold and use. Top rack dishwasher safe. The Vision Board was created for anyone who struggles with vision or dexterity issues. Its innovative design reduces eyestrain and improves finger contact and keyboarding control. The Vision Board has big 1-inch oversized keys for better control & contact, large, bold letters & numbers to improve readability, and high-contrast black-on-white lettering, proven to be easier on the eyes. The keys are available in black-on-white, white-on-black and black-on-yellow. 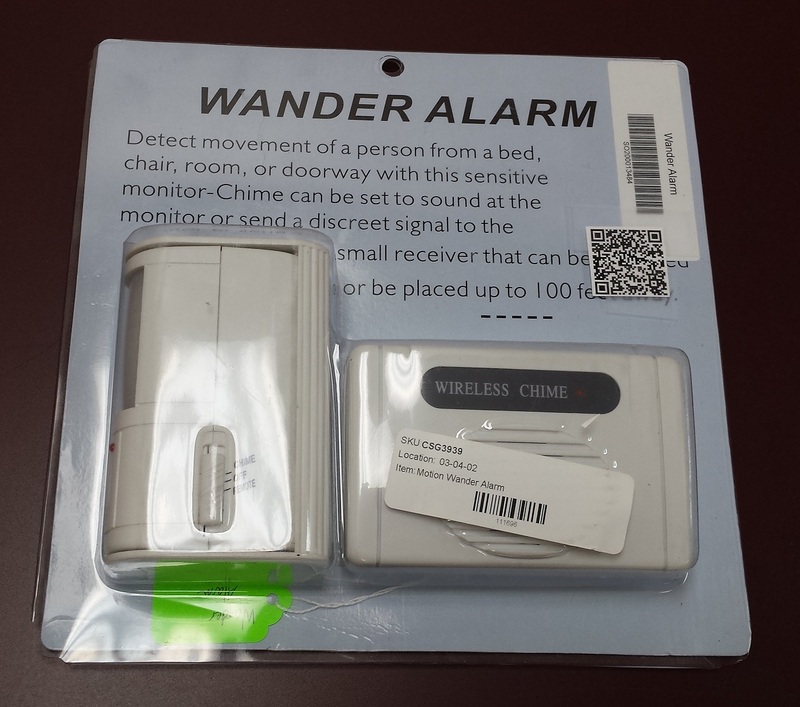 The Wander Alarm can detect the movement of a person in a bed, chair, room or doorway. A small receiver can be mounted wherever convenient, and the chimes either sound or send a discreet signal up to 100 feet away. Motion detector can be used on a bed, chair, hallway or door. Includes a receiver for remote monitoring. 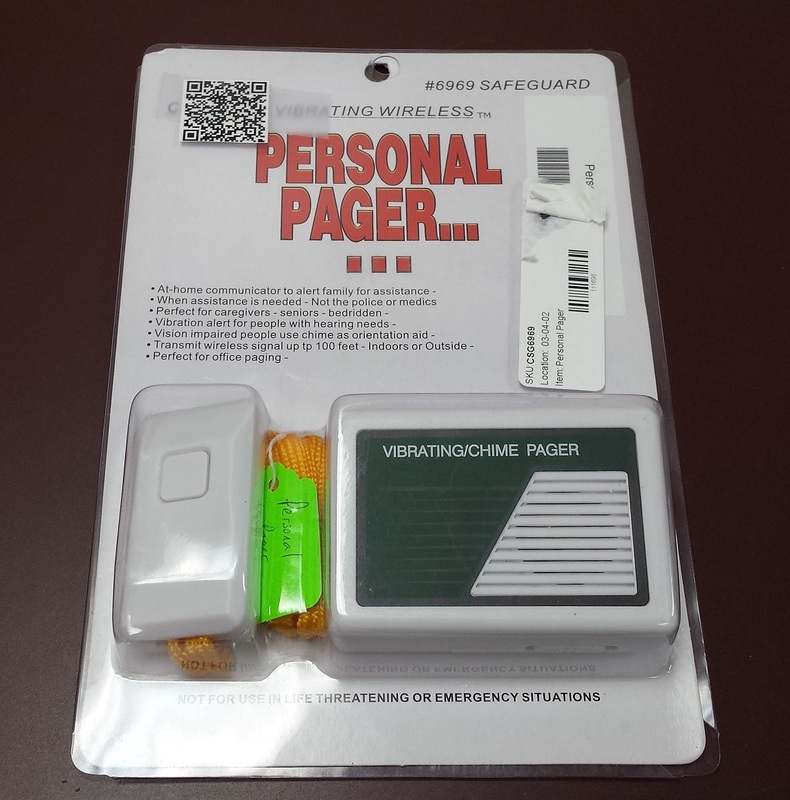 Can be set to chime at local alarm, or can send a remote signal to the receiver. No batteries included; requires two 9 volt batteries.